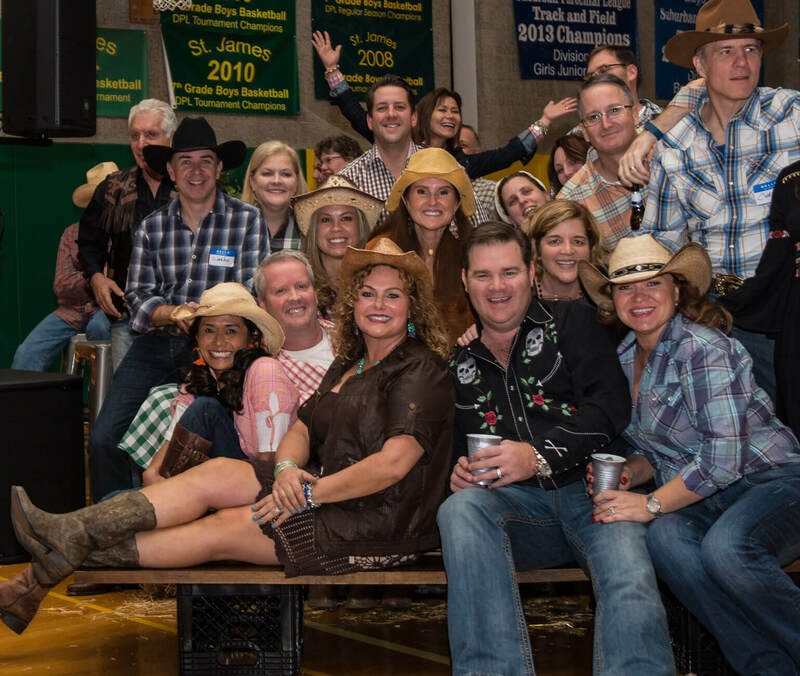 The 16th Annual St James fundraiser was recently held with this years theme of a Barn Dance. 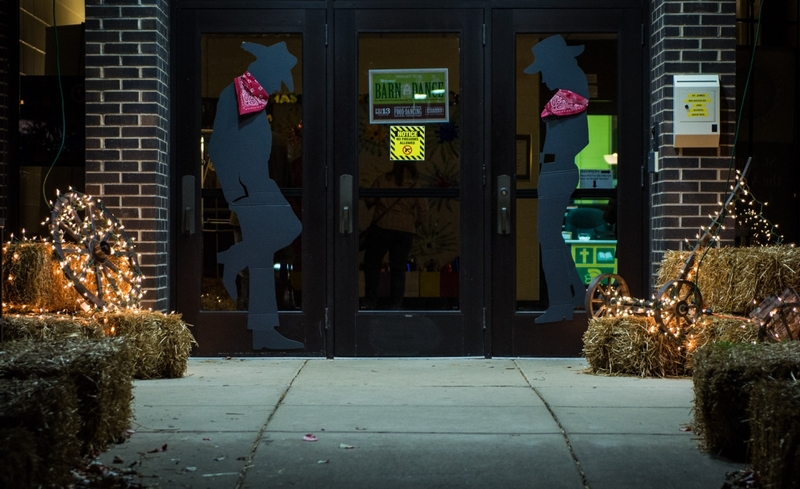 The school gym was decorated with all the fixins’, including hay bales made into couches, festive white lighting hung from the rafters and a lighted stage backdrop. Guests enjoyed a hearty BBQ meal along with our signature ‘Hoedown Happiness’ cocktail. Live auction items were more than generous, including a National Parks Centennial Tour, a tropical bungalow in Belize and numerous sporting events (Bulls, Blackhawks, Bears and Cubs). Guests could purchase raffle tickets with the hope of winning the $10,000 grand prize. We were excited to announce that thanks to the generosity of several ‘Friends of St James’, the school was offered a $10,000 gift for this years fundraiser with a goal of raising $10,000 in matching donations. Finally, throughout the evening, guests bid on the various silent auction items, featuring sports & entertainment, moms & dads, kids and class parties. To end this magical evening, our guests hit the dance floor, kicking up their boots to the ‘Band that Rocks Country’ Mason Rivers.